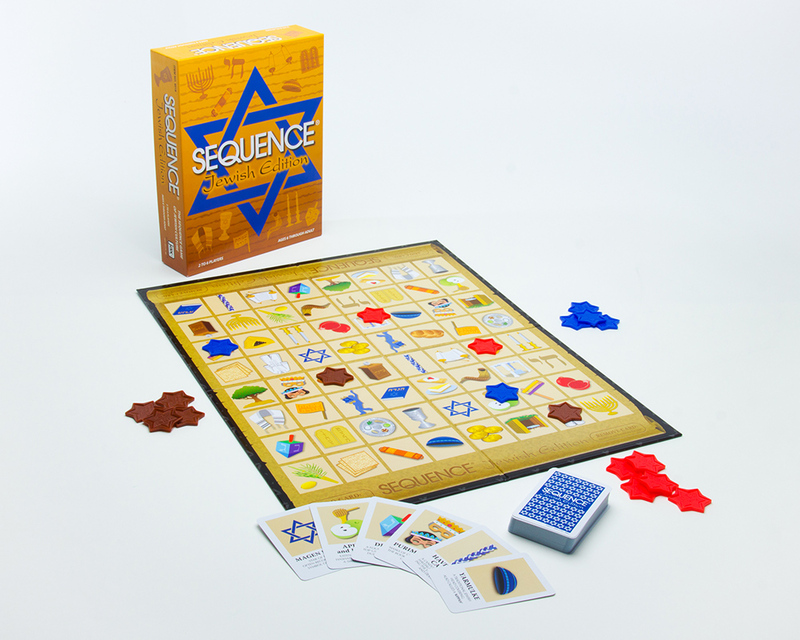 In this special Jewish edition of the popular SEQUENCE board game, players will find symbols of Jewish culture pictured on the gameboard and playing cards. The cards also provide a brief description of each symbol. Players match a picture on a card to one on the gameboard, then place a chip there. Five chips in a row wins the game! It’s a wonderful learning tool as well as great fun for families and friends!